Bridging Across the Trail to Get Down On It! 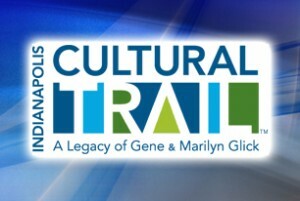 Please join us in a Cultural Trail Grand Opening Decorating Party! We will present and provide details for the children’s bicycle and wagon parade taking place Saturday May 11th from 10:00-11:30 am. We will also create artwork to decorate the green space and bridge that joins our neighborhoods during the grand opening.